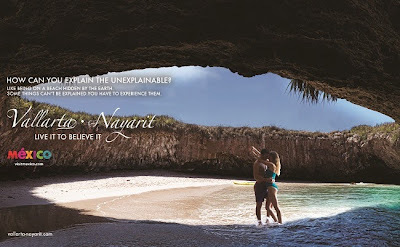 The synergy between the destinations is absolutely perfect: every time the Mexico Tourism Board attends an international event showcasing the “Live it to Believe it” campaign, Vallarta-Nayarit is always the headliner. Rodrigo Esponda, Director of the Canadian office of the Mexico Tourism Board (MTB), stated that Vallarta-Nayarit is one of the highlights of the “Live it to Believe it” campaign within every tourism event where Mexico is a participant. “Both of these destinations are stellar,” commented Esponda. 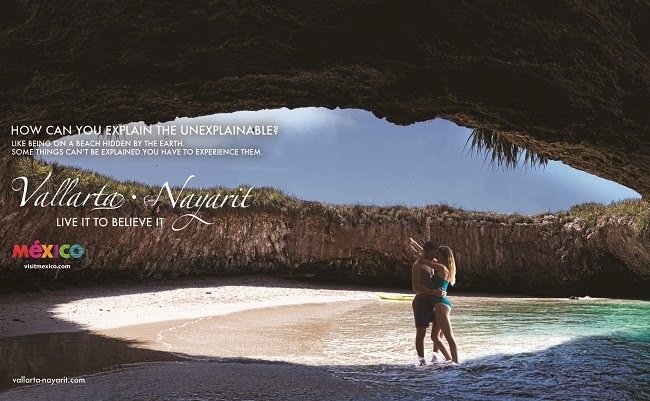 This is why the Vallarta-Nayarit commercial and promotions are always a part of the entity’s presentation. The “Live it to Believe it” campaign is the main focus for the MTB along with its various elements, commercials and presentations, but the main highlight and the first to be presented is the material from Vallarta-Nayarit, followed by others including Mexico City, Yucatán and Los Cabos. The Riviera Nayarit and Puerto Vallarta convention and visitors bureaus are both heavily involved in everything relating to both of these destinations, which share an extraordinary relationship, working hand in hand in every one of their joint efforts. “We have submitted various proposals for different events that can take place in Canada with Vallarta and Nayarit present in every festival with their joint promotional campaign,” said Esponda. The impact these actions may have in Canada are always taken into consideration in order to measure the return on investment, which is currently already reflected in the increase in room nights in both destinations. “We’d like to continue with this promotion and be able to position Vallarta-Nayarit as a dual destination for travel. I think another very interesting point is how the values offered by these two destinations complement each other,” added the Director of the Canadian office of the MTB. According to travel agents, it’s easy to see how these two destinations complement each other when you visit Vallarta one day and the Riviera Nayarit the next—or vice versa—and they will recommend their clients visit both destinations during their trips. “There’s no other place that offers such a perfect combination with such great synergy as this one,” said Rodrido Esponda in closing.